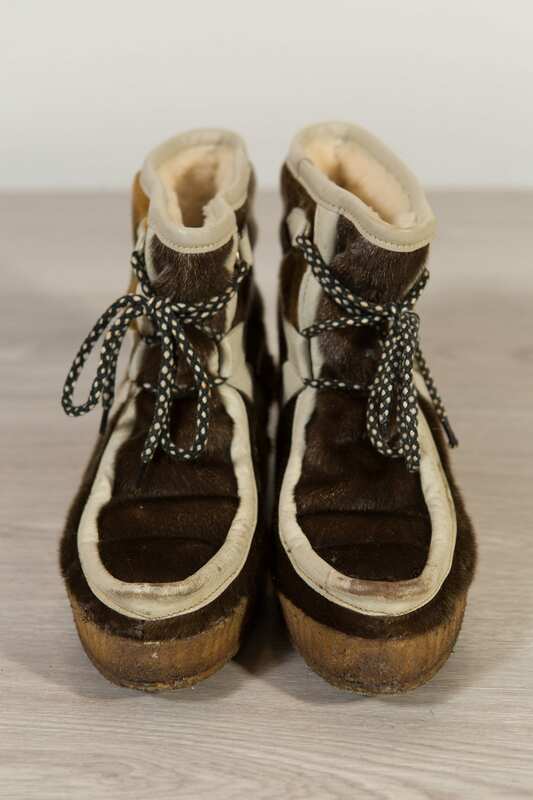 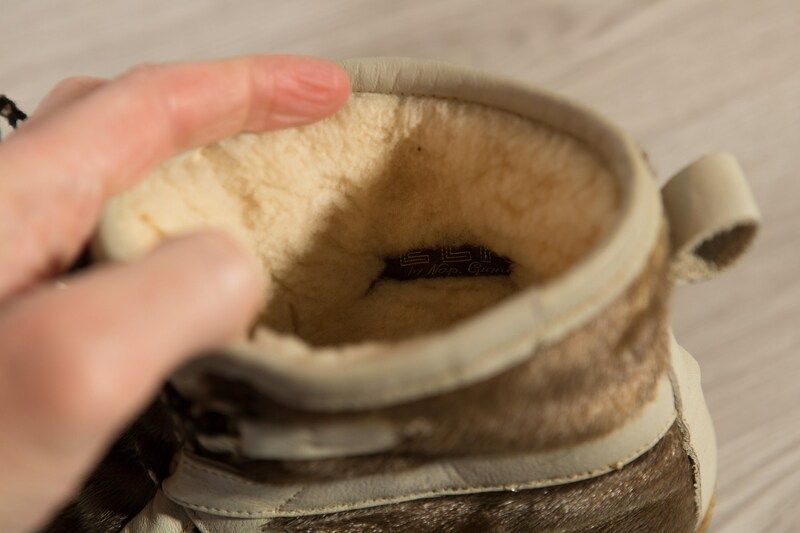 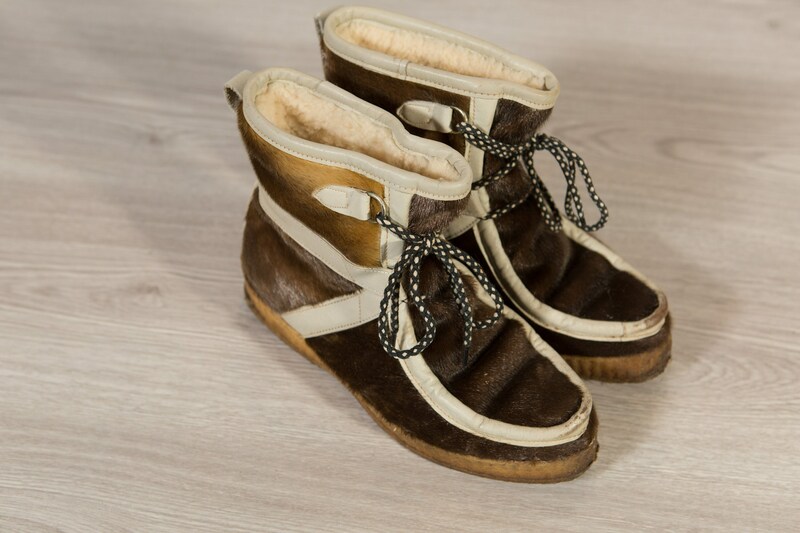 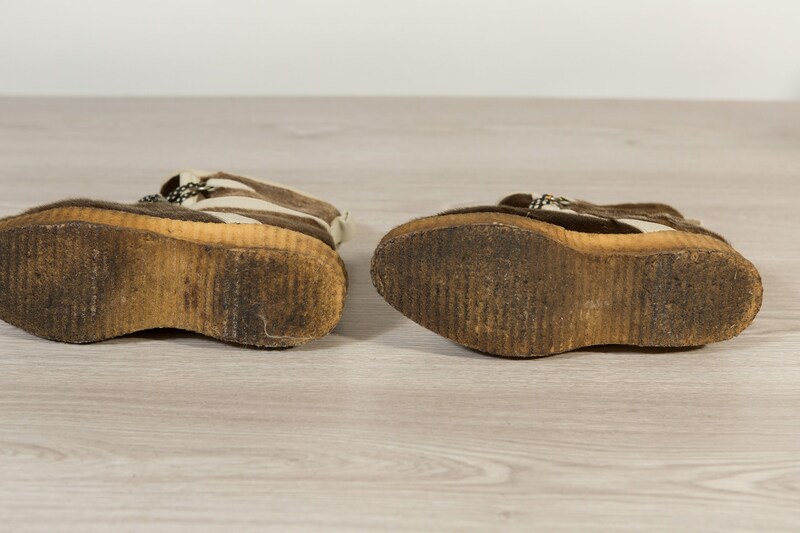 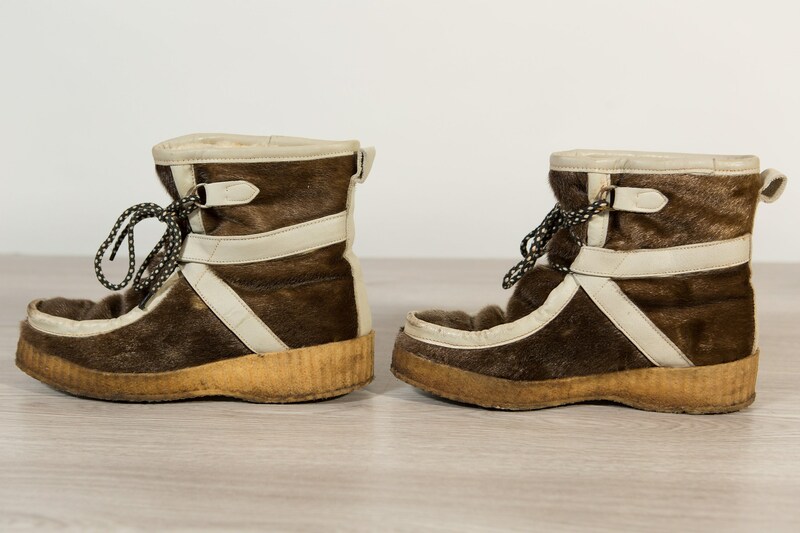 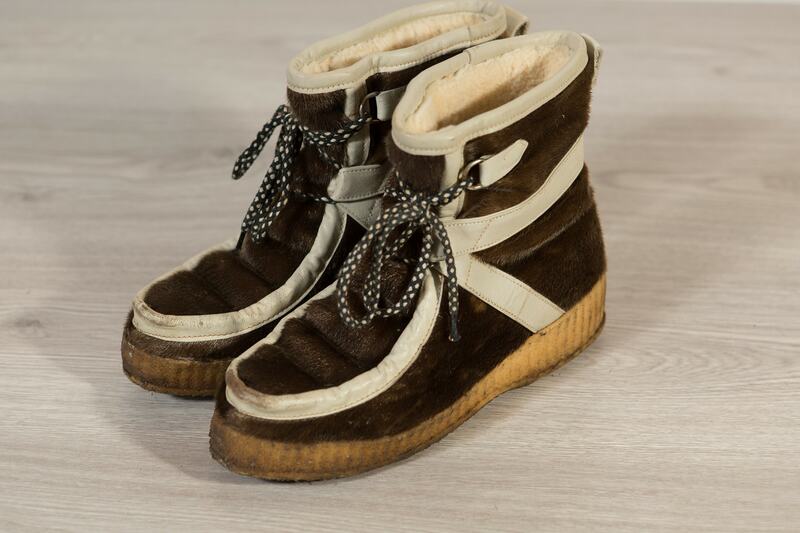 This is an excellent pair of vintage Inuit brown fur boots with gum soles. 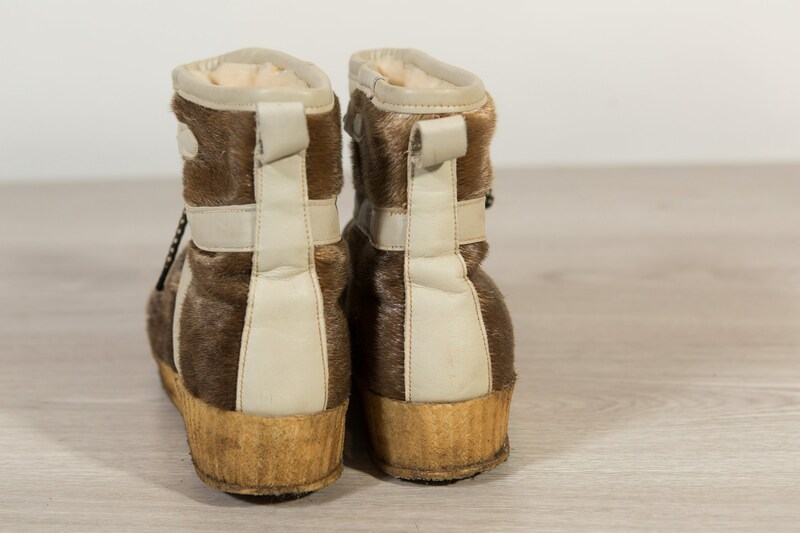 Brand: Elk by Nap Gignac. 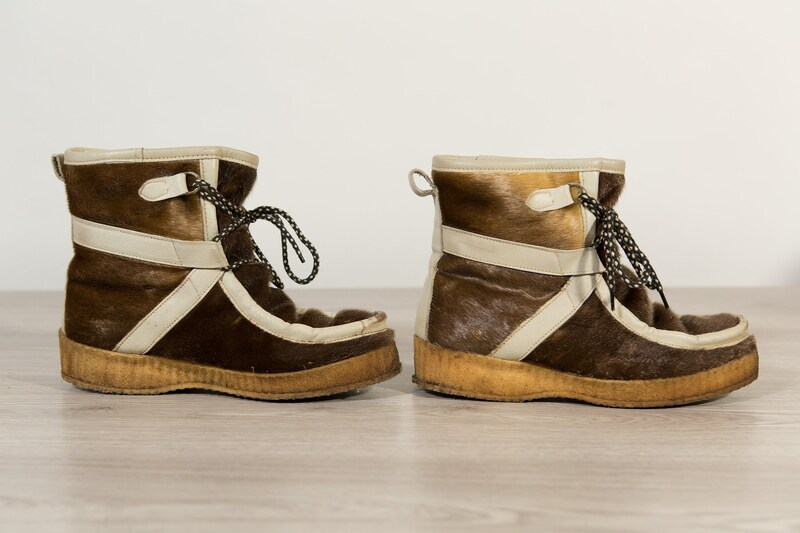 Size US 9 mens (please message to confirm size).